Would a cigar by any other name taste as delicious? Thanks to a move (or rather, lack thereof) by the U.S. Supreme Court this week, Cohiba-lovers won’t have to find out. The High Court recently rejected a Havana-based company’s petition for review in the disagreement over ownership of the Cohiba trademark. 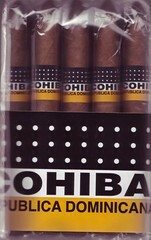 The dismissal renders an appellate court’s February 2005 ruling final that General Cigar retains exclusive ownership of the Cohiba brand name in the U.S.
Cubatabaco filed the lawsuit in 1997 against General Cigar – producer of Macanudo, Partagas, Cohiba, and Punch – arguing it owned the Cohiba name under U.S. law and certain international treaties. The High Court denial authorizes General Cigar to continue using the name it has put on its Dominican-made cigars in the U.S. for more than twenty years. As you could have guessed (thanks to its searing, oppressive communism), the Cuban government – in other words, Fidel Castro – owns Cubatabaco. It follows that you also won’t be surprised to learn that the Bush administration successfully urged the court to refuse the case. While the quality and craftsmanship of General Cigar’s Dominican Cohibas would have likely remained the same regardless of the outcome of this ill-fated lawsuit, company officials are still chalking up this home “court” win as a key victory.